We’d love your help. 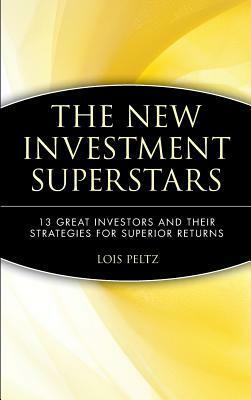 Let us know what’s wrong with this preview of The New Investment Superstars by Lois Peltz. Since people have been making money in the markets, investors and would-be investors have been fascinated with the money managers and traders who have extracted superior returns. In The New Investment Superstars, Lois Peltz examines fifteen of today's most successful investors by their area of expertise, including stock-picking, global macro trading, sector investing, and more. Readers will learn how these great investors approach the markets at a time when volatility is high and certainty low. From the thirty-five-year-old Lee Ainslie (Maverick Capital), dubbed the "Win-Win Investor" by Worth magazine, and Ken Griffin, the thirty-one-year-old who started his first hedge fund as a freshman at Harvard, to Lee Cooperman, long a star stockpicker at Goldman, we meet today's superior managers and learn how they do it. To ask other readers questions about The New Investment Superstars, please sign up.